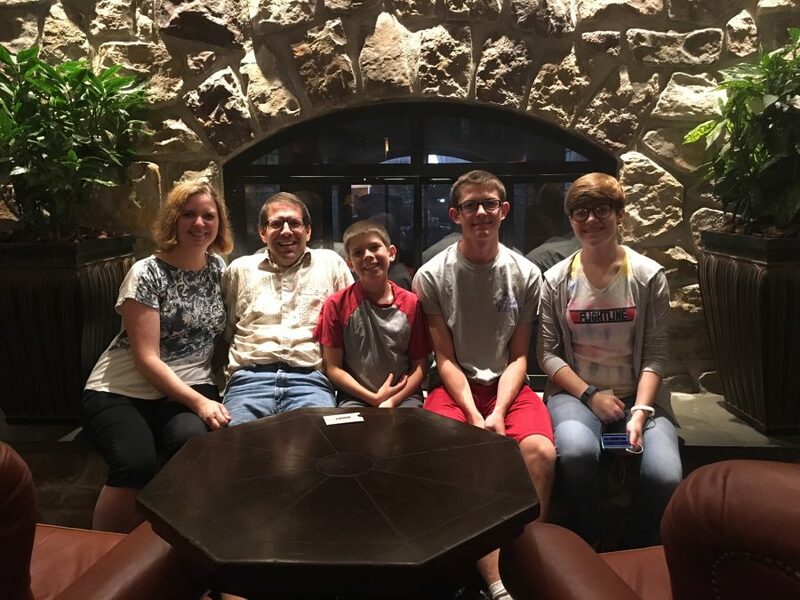 Last month, my family and I made a quick trip up to Hershey, PA for a quick family vacation. 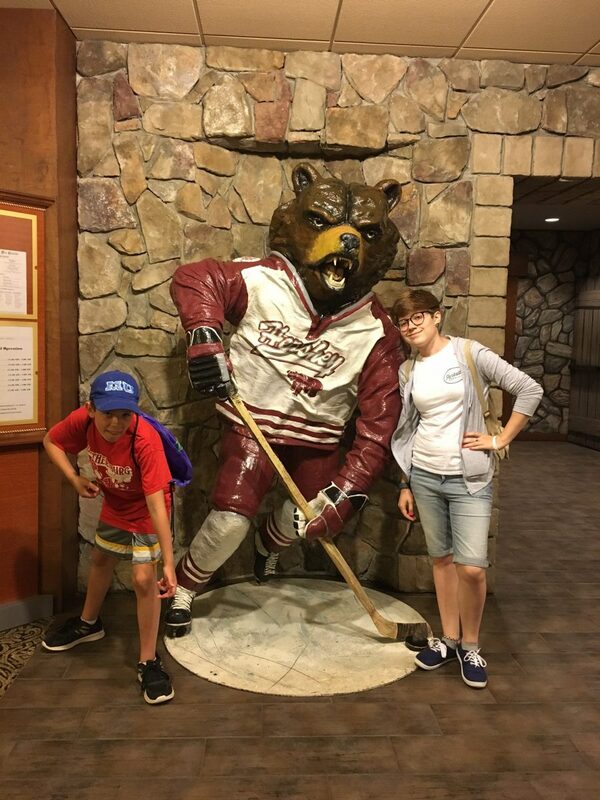 Though I had stayed at the Hershey Lodge before and attended a conference here perviously, this was the first time that the whole family was able to stay at the Lodge, and we had a blast! Our only complaint was that we couldn’t stay for a whole week instead of just one night. You know that feeling when the stresses of every day life start to melt away when you’re on vacation? That happens FAST at Hershey Lodge…and I wanted that feeling to stay! The beds are the ultimate in comfort. I’m picky when it comes to beds, and the beds at Hershey Lodge are some of my favorite EVER. ANYWHERE. 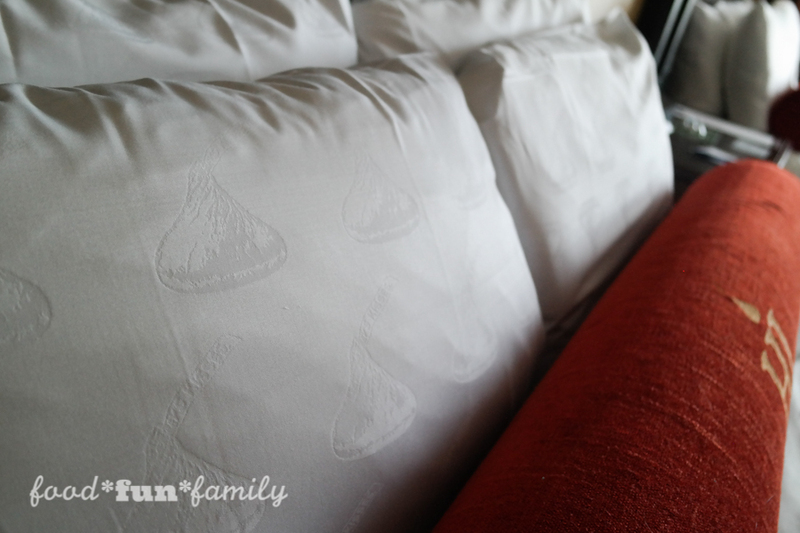 I mean, how can you go wrong with sheets that have Hershey’s Kisses all over them? PS – just a fun tip! If you love the sheets as much as I do, you can pick up a set to take home in the gift shop downstairs! It’s so nice to have a place to crash after a long day at the park. I hate driving home after a tiring day at Hersheypark, so I LOVE being able to get “home” to the Lodge in just a few minutes for a nice restful night’s sleep. Hershey Lodge has the BEST eating options! You never have to leave the hotel! Hershey Lodge has you covered for breakfast, lunch and dinner. Let me recommend the Hershey Grill for breakfast (I recommend the S’MORES FRENCH TOAST – chocolate ganache and toasted marshmallow crème anglaise over graham cracker brioche. Wow! ), the Cocoa Beanery for any-time-of-day hot chocolate (yes, even in the summer!) and the Bear’s Den for a quick and easy family dinner. Also included at the Hershey Lodge are The Forebay (sit down dining), Lebbie Lebkicher’s (great for breakfast! ), and Cocoa Cabana (the newest place to eat the the Lodge, located at Water Works). Hershey’s Water Works! 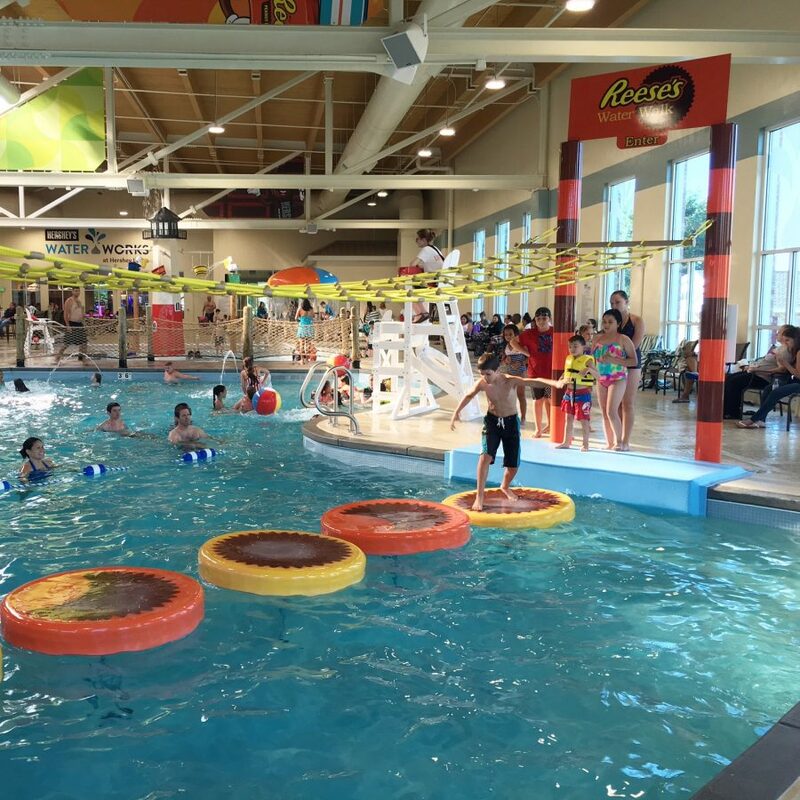 The newest PERK at Hershey Lodge is an amazing, family-friendly indoor water park for guests of the Lodge only, which means that you don’t have to worry about crowds OR weather. The kids and I loved hanging out at Water Works, which has something for everyone in the family…including a new place to eat – Cocoa Cabana – and a game room for when you’re tired of swimming. Plus, Water Works makes the Lodge a great destination all year long, even when the park is off-season or when the weather outside is less than ideal. 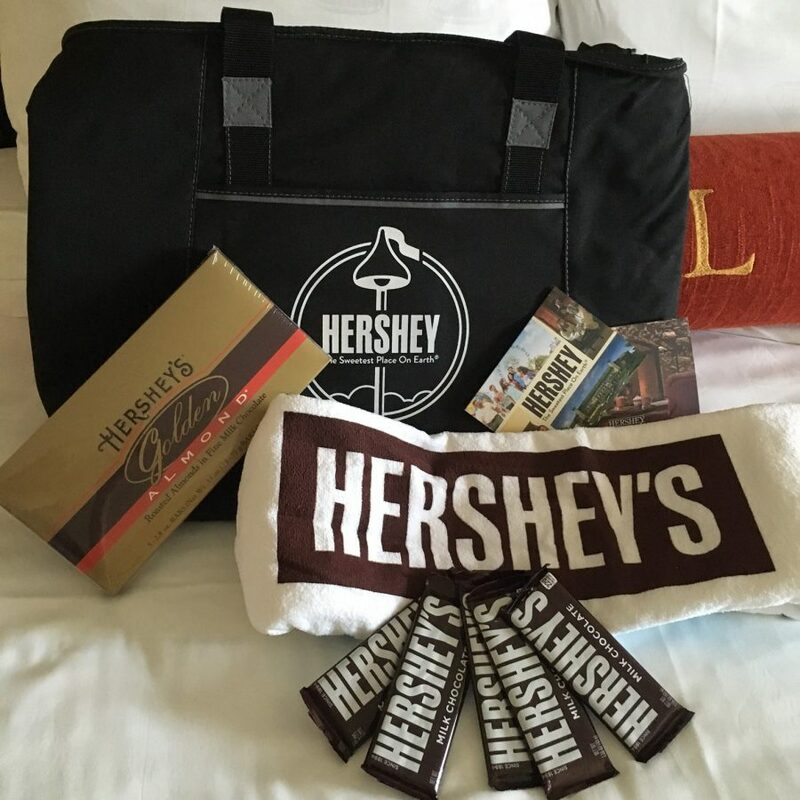 Perks for Hershey Lodge guests – Guests receive discounts on Hersheypark PLUS free tickets to Hershey Gardens and the Hershey Story. The staff at the Lodge treat you like royalty. If you need anything at all – from an extra toothbrush to an extra towel – they are there to help with a smile. The Lodge staff really take service to the next level. The atmosphere at the Lodge can’t be beat. It’s a true vacation! I could spend a day just hanging out in the Lodge lobby area. Lots of open seating, character visits, and all-around fun, relaxing atmosphere. 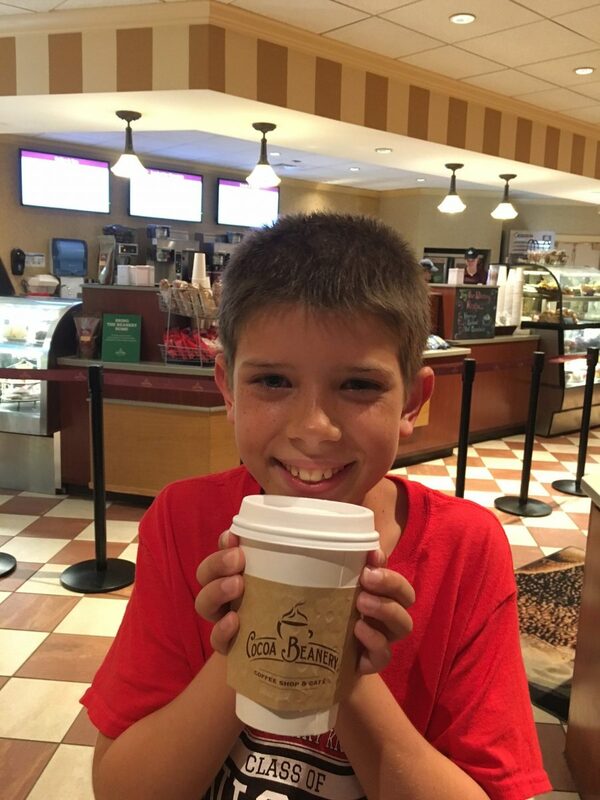 This kid is addicted to hot chocolate and he LOVED the hot chocolate at the Lodge! The shuttle to and from Hersheypark means you don’t have to pay to park when you visit the park, and it’s SO quick and convenient to go back and forth. I felt SO SPOILED having my own “driver” to take me to and from the park…and the fact that the shuttle is always air conditioned is a huge perk during the summer! The Lodge is very family-friendly and family-oriented. There are kids everywhere and it’s obvious that kids and families are welcome at the Lodge. I love going somewhere with the family that doesn’t make me feel awkward for bringing my big family along. Hershey’s chocolate bars at check in for everyone! What better way to welcome guests than with CHOCOLATE? It is Hershey, PS, after all! We got an extra special welcome package because I’m a Sweetest Moms ambassador. LOVED it! This looks like such a nice place to stay! Great for our next family getaway! 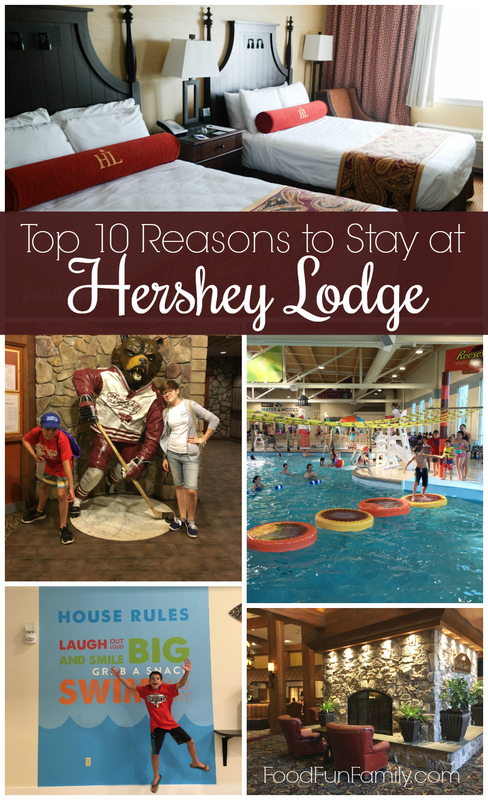 We just got home from our first visit to the Hershey Lodge and LOVED it! We are definitely going to return for a family trip as this place has all that you need right there!